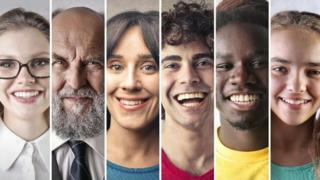 Britons are among the happiest people in the world - and are becoming more cheerful, according to an annual United Nations survey. The seventh annual World Happiness Report placed the UK 15th in the 156-country ranking, just ahead of Ireland. The list, based on research conducted between 2016 and 2018, is published on International Day of Happiness. Finland, Denmark and Norway were the happiest nations while South Sudan replaced Burundi as the least happy. International Day of Happiness began in 2012 when all countries of the United Nations agreed to create an official, annual fixture on the calendar. The list is published by the London-based Action for Happiness charity and sees survey respondents place the status of their lives on a scale ranging from 0 to 10. The nations at the bottom of the ranking are typically affected by a combination of economic, political and social stresses. The overall score given by Britons was up on the previous year, helping it to rise four places in the ranking. The top 10 of the list was made up by Iceland, the Netherlands, Switzerland, Sweden, New Zealand, Canada and Austria, while Australia was 11th, Germany 17th and the US in 19th place. Experts say people can influence their own happiness. "Science has proved that being happy requires a conscious effort. It's not easy, it takes time," says Laurie Santos, professor of psychology and cognitive science at Yale University. Prof Santos's class Psychology and the Good Life is the most popular in Yale's 317-year history, and broke the university's enrolment record when more than 1,200 students signed up. "Being happy isn't something that just happens, you've got to practice to be better at it," she adds. Here are five exercises from Prof Santos to get you started. Prof Santos asks her students to write down what they are grateful for - every night, for a whole week. "It might sound quite simple, but we've seen that the students who regularly do this exercise actually tend to be happier," she says. "It might seem silly, but we know that sleeping more and better reduces your chances of suffering from depression and improves your positive attitude," she says. Now she's a professor, she refers her students to several studies demonstrating how meditation and other activities that engage your full attention can help you become happier. According to Prof Santos, there's growing research that shows enjoying quality time with your friends and family makes your happier. Spending time with people we like - or having "healthy interpersonal relations and social connections", in psychology speak - significantly boosts your wellbeing. It doesn't take much, says Prof Santos, just make sure you "live in the moment, be aware you are having this time together, be conscious of how you spend your time". "We often associate wealth with how much money we have," adds Prof Santos, "but research shows that wealth is more closely tied to how much time we have". The latest research shows that people who use social networks the most tend to be less happy than those who don't use it so much, she adds.